This Global Citizen of America Helped to Save Hawaii’s Waters. Now She’s Going Global. On a map, Hawaii looks isolated, a slim ribbon of islands surrounded by vast blue. But for the people who live there, the ocean doesn’t feel isolating. Instead, it’s viewed as a bridge to other places and the primary source of nourishment, as both ubiquitous and unifying. Wilhelm is the senior vice president for the center for oceans at Conservation International. 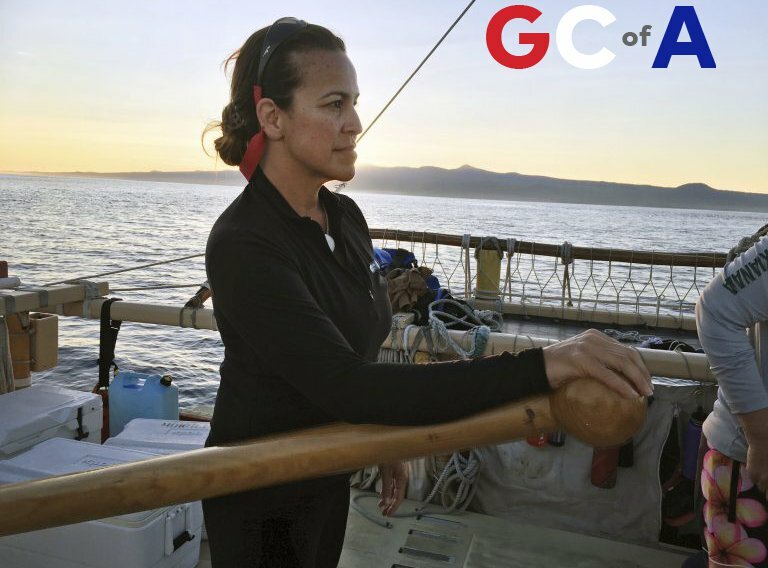 She was born and raised in Hawaii and she’s spent much of her career advocating, successfully, for the protection of the oceans. In the early 2000s, she was part of a team who began studying how to protect a wide swath of the Pacific Ocean, northwest of Hawaii, called Papahānaumokuākea, known colloquially as Big Papa. 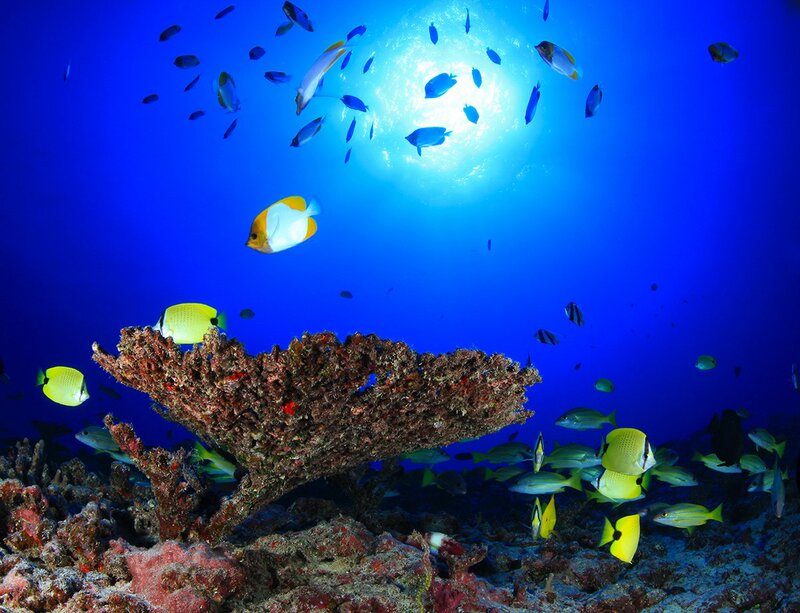 Big Papa is a biologically rich and nearly pristine marine environment. Manta rays, sharks, countless fish, crabs, ducks, oysters, shrimps, and many more creatures live here. There are islands, coral reefs, atolls, ancient seafloors, and freshwater spaces. Over a period of five years, they held more than 110 meetings with more than 52,000 community members to build a culturally sensitive and scientifically rigorous approach to monitoring the marine habitat. “It was pretty controversial in the beginning, but overtime, as momentum built, there was overwhelming public support and it has never wavered,” she added. In 2006, the campaign won when George W. Bush administration’s designated the area a national monument and ushered in a wave of protections based on their recommendations. Since then, the monument has served as a model for marine conservation, government planning, and community participation. It was an extraordinary validation for someone who never even intended to go into conservation. She said a formative experience came when she went on a coral reef expedition, traveling to the northernmost Hawaiian island Kure Atoll. Standing on this remote island that’s hard to access she had a feeling that she had been there before, and that she would eventually be back. “That sense that I got in my gut was really this calling,” she said. Soon after she realized she could dedicate her life to protecting the oceans and island life. She eventually went to work for the National Oceanic and Atmospheric Administration where she served as the director of ocean initiatives. Today, more than a dozen countries have consulted Wilhelm and her peers when mounting campaigns to protect other marine environments. Wilhelm founded a group called Big Ocean that aims to formalize the process of marine protection. Big Ocean emphasizes that each marine protected zone needs a unique system of management because ecosystems vary so much. As Wilhelm says, it helps protected areas become more than just lines on a map. Ultimately, the goal is to create a world where all the oceans of the world are sustainably managed and allowed to flourish. In 2016, Big Papa was quadrupled in size by President Barack Obama’s administration. It was a major achievement for marine conservation, but Wilhelm is the first person to downplay her involvement in the effort. To her, activism and advocacy are collective efforts to do right by a community. Nowadays, Wilhelm is fighting to maintain Big Papa’s protected status, which is under review by the Trump administration. As proof of the power of community action, more than 2.7 million Americans called on the Interior Department to maintain the distinction. None of that would have been possible if communities didn’t feel invested in Big Papa. “Nobody can do anything of enduring value alone,” she added.